Most parents put the health and happiness of their children before anything else. However, that is not always easy, and they can be influenced by people from outside the family that you have no control over. From their point of view, growing up can be an anxious and painful time and some of them suffer from low self-esteem and emotional problems that can manifest themselves as bad behavior. Teaching them coping mechanisms can be useful for them and can help you in your quest for making sure your child is happy. Every child is different and what works with one of your children could be the worst thing for another. As a parent, you do what you think is best, but sometimes you need help, and that is when you should consider child therapy. Helping children with difficulties to develop social skills, emotional regulation and increasing their self-esteem takes knowledge and experience. That is why parents who are experiencing problems often turn to the professionals. At ELEOS child psychology is a specialty and they understand issues from both the parents’ and child’s point of view. 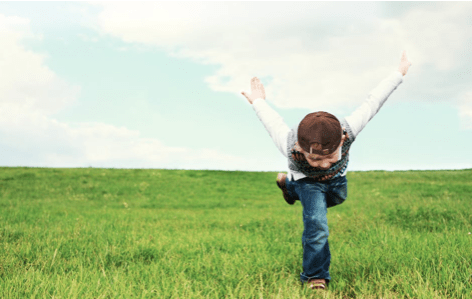 Using play as a form of therapy has always proved successful, but it needs to be done in the correct way. While they are having fun, they can also be learning how to communicate and how to regulate their emotions. Various scenarios with toys can assist them in learning all sorts of skills including empathy, understanding, and compassion. Therapists will know how to interact with the child to be able to achieve the most from these play sessions. They will also be able to educate the parents so that the games and work towards the child’s happiness can carry on at home. Adolescence can be a very anxious time. Teenagers can suffer from peer pressure, exam pressure and social pressure. The buildup of all these pressures can get too much for them and they become uncommunicative and surly. Some people would comment ‘typical teenager’, but it does not have to be that way. Therapy sessions can help them through these really rough times. Making sure they understand why they are feeling this way and teaching them how to cope with the pressures can help to make them much happier. Guiding them to the root of their problems and helping them to resolve them has enormous benefits for the teenager and the rest of the family. When children are in therapy, no matter what age they are, it is important that the whole family understands what they are going through. Sometimes therapists like to see the family all together so that they can discuss various problems and how they should listen to and react to each other. This can be just as important as the therapy the child is undergoing. Some people are concerned what others will think of them when they find out they are seeing a therapist. They worry that they will be thought of as mad if they need help. This just is not true. We all experience difficult times in our life, whether that is as a child or as an adult. Sometimes we need help to get us through the tough times. So, no you are not mad, you just need the right guidance.